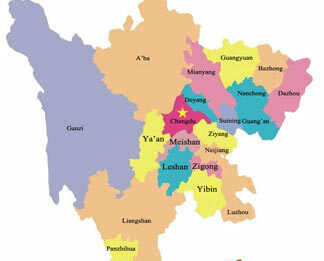 Sichuan, short for Chuan or Shu, is located in Southwest of China with two geographically distinct parts. The eastern part is mostly within the fertile Sichuan basin and the western Sichuan is the numerous mountain ranges forming the easternmost part of Qinghai-Tibet Plateau. It borders the Tibet Autonomous Region to the west, Chongqing to the east, Yunnan to the south, Gansu to the north, Qinghai to the northwest, Shaanxi to the northeast and Guizhou to the southeast. 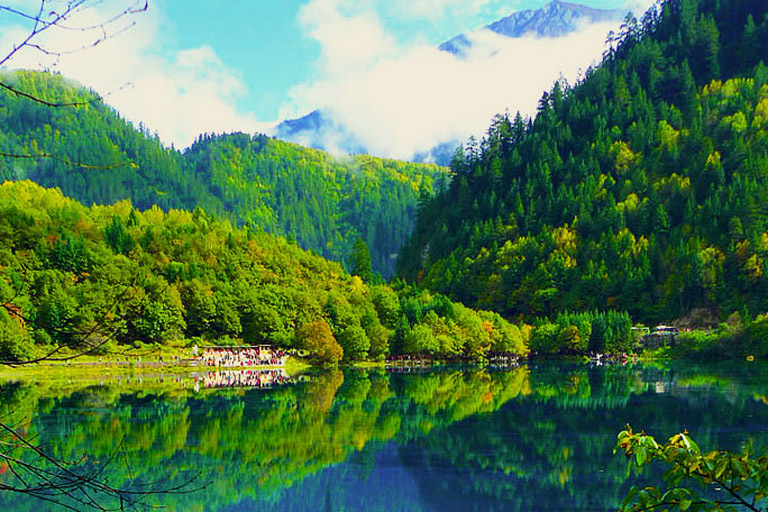 Called the Land of Abundance, the vast Sichuan has beautiful nature scenery as well as profound culture. Besides, it is the province with the most natural and cultural World Heritage Sites in China, altogether five at present, including Jiuzhaigou Valley Scenic Area, Huanglong Scenic Area, Dujiangyan Irrigation System with Mount Qingcheng, Mount Emei Scenic Area with Leshan Giant Buddha, Sichuan Giant Panda Sanctuaries. No matter you want to dig in-depth into the amazing sites within Sichuan or travel outside to Tibet, Yunnan, Gansu, Qinghai and Chongqing, you can fulfill your dream today! 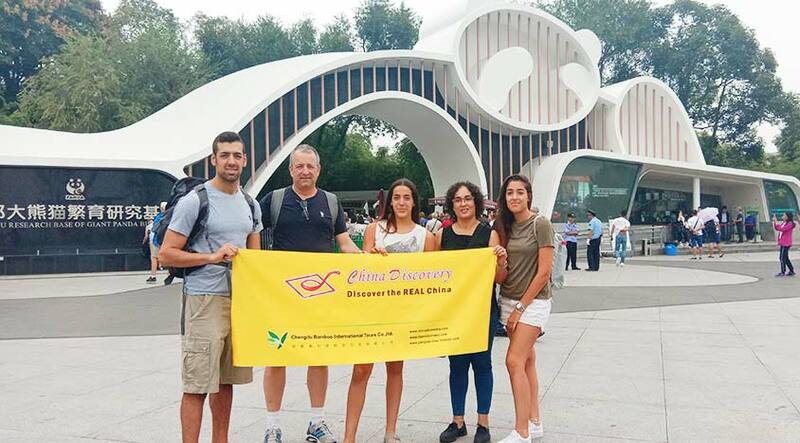 Discover with local based China Discovery now! Hometown of Giant Pandas. Many travelers come to Sichuan for the adorable giant pandas where you can see it in Chengdu, Dujiangyan, Ya’an and Wolong. 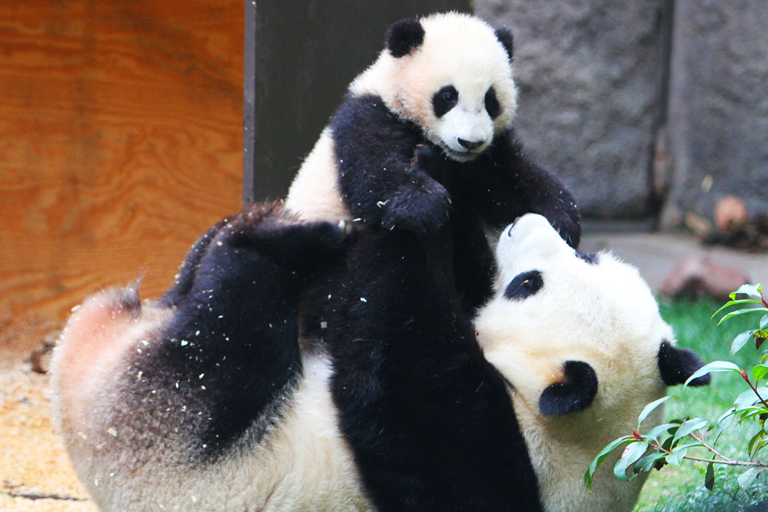 At present, Dujiangyan Panda Base is the only place to do panda volunteer program that travelers can have close contact with panda up close and personal, take care of the lovely creatures and even hug in your arms. Gorgeous Natural Scenery & Colors of Nature. 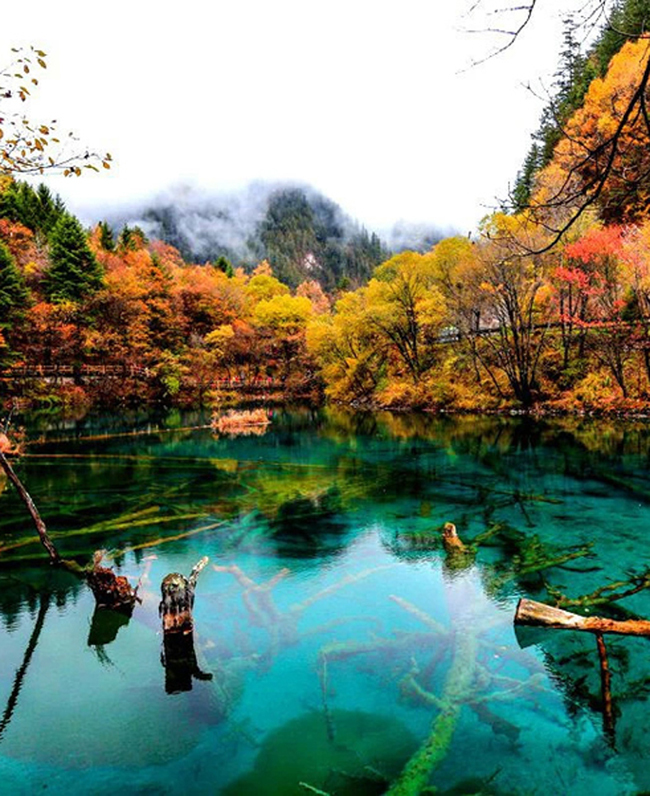 Jiuzhaigou and Huanglong are the best painting presenting the best color used by the Mother Nature. 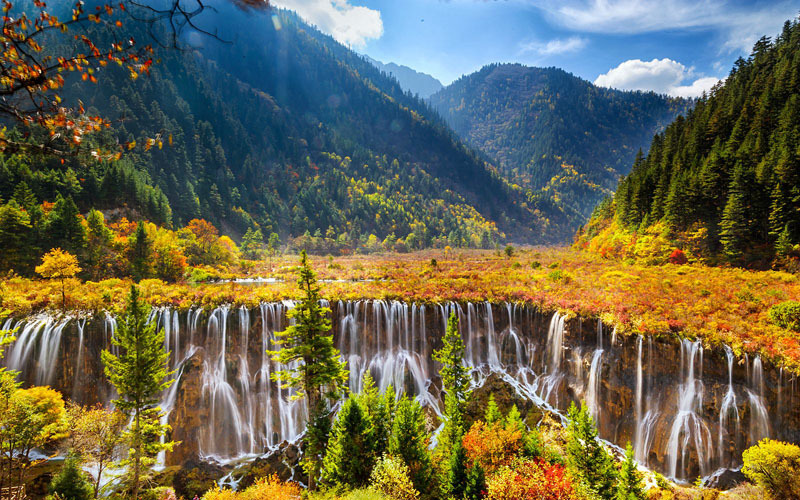 Visiting Jiuzhaigou and Huanglong is a feast of vision. Wild forests, flowers, lakes changes colors in different season – grey in spring, green in summer, golden in autumn, white in winter. Ancient Shu Lost Civilization. Before the discoveries of Sanxingdui and Jinsha Site, most people believed Sichuan played more as a constituent part in China history than an independent local civilization. 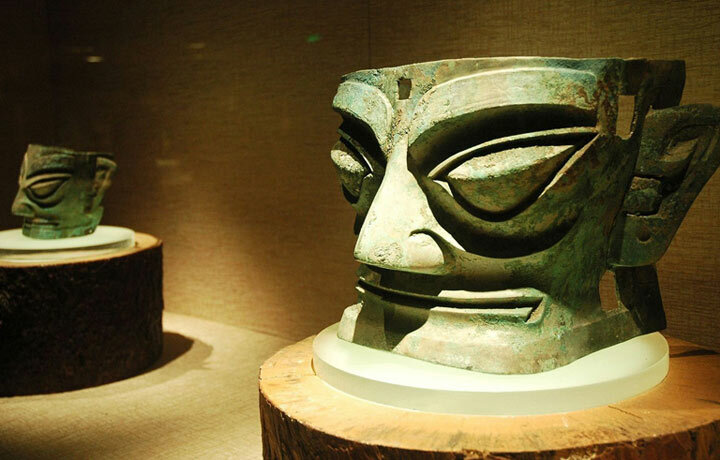 But after research on the cultivated relics, archaeologist has indicated that the cultural existence of Sanxingdui and Jinsha were quite different from those typical civilization in northern or center ancient China, such as Xia Dynasty, Shang Dynasty. Three Kingdom Culture. Three Kingdoms Culture is one of the most exciting parts of China history which is full of stories. Sichuan, known as Yi State in ancient time, is the stronghold or the base of Shu Han Bloc of which the leaders are Liu Bei, Zhu Geliang, Guan Yu, Zhang Fei, etc. Holy Land for Buddhism. 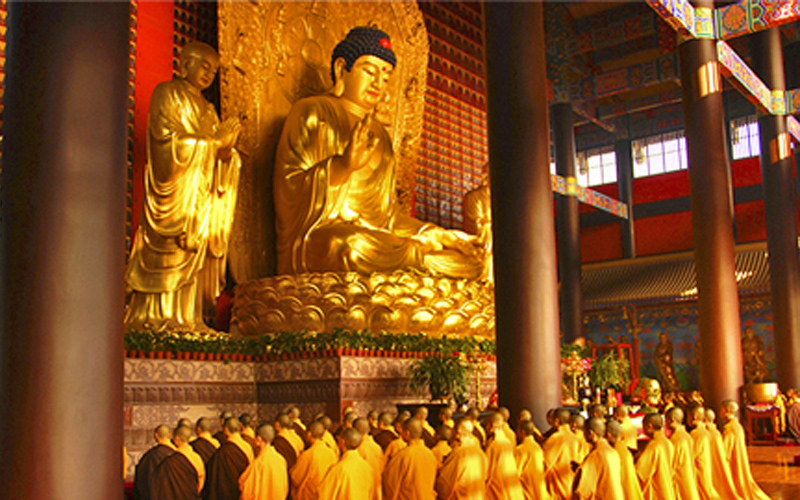 Sichuan Buddhism has a long history since Han Dynasty and the temple in Sichuan reached more than ten thousand in history. Mount Emei is one of the Four Sacred Buddhist Mountains in China which is regarded as the Bodhimanda, or place of enlightenment, of the Bodhisattva Samantabhadra. 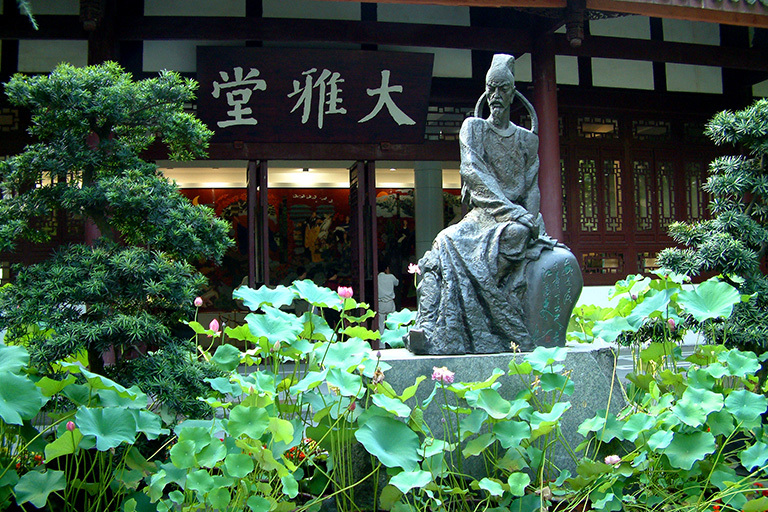 Birthplace of Taoism. 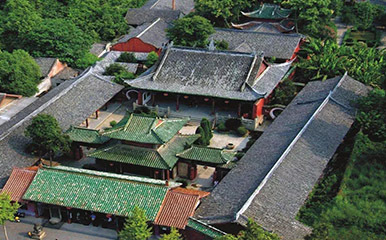 For those who are interested in Taoism, travelers should explore the origin in the birthplace of Taoism – Mount Heming and know more sect and architectural building in Mount Qingcheng and have a bite of the legendary story about Laozi in Qingyang Palace. 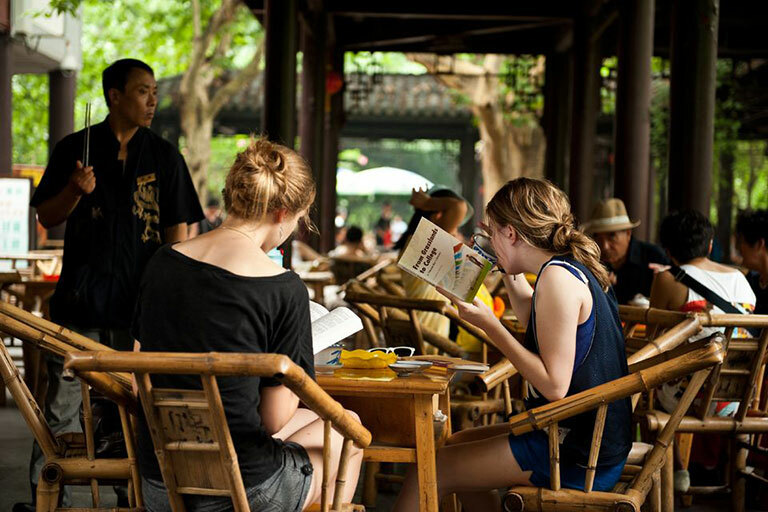 Leisure Life..Sichuan is known for its leisure culture and slow-paced life which can be vividly experienced in Chengdu. No matter how quick the city develops and how fast-paced the locals move, the consistent relaxing and calm way of life resonates throughout every aspect of Chengdu. 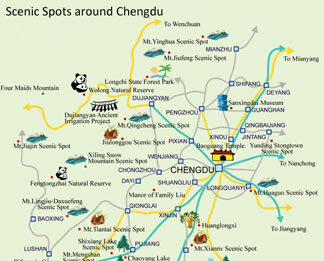 Chengdu is the capital city of Sichuan which is regarded as the no.1 destination to be visited. 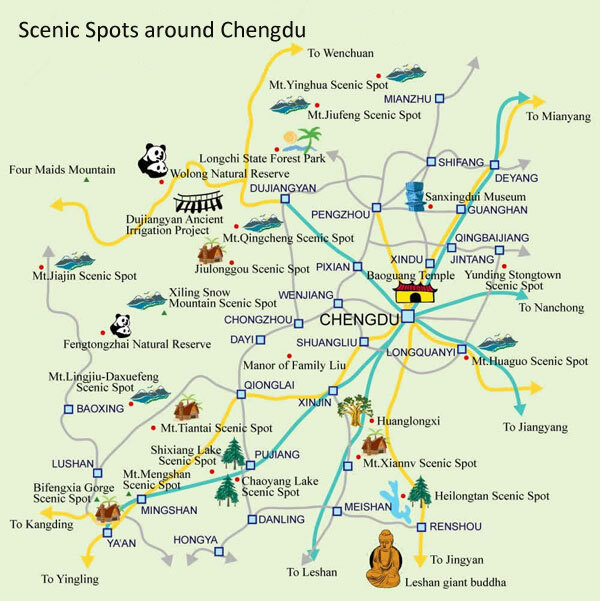 Besides Chengdu, there are some other destinations in Sichuan well worth your visit. Transfer to the following destinations, like Chengdu (2~3 days), Jiuzhaigou (3~4 days), Leshan (1 day), Emeishan (2 days), and Dujiangyan (1~2 days), etc. Discover now! Sichuan is a wonderful province with a mind-whirring number of places to explore and part of which makes travel to Sichuan so addictive. 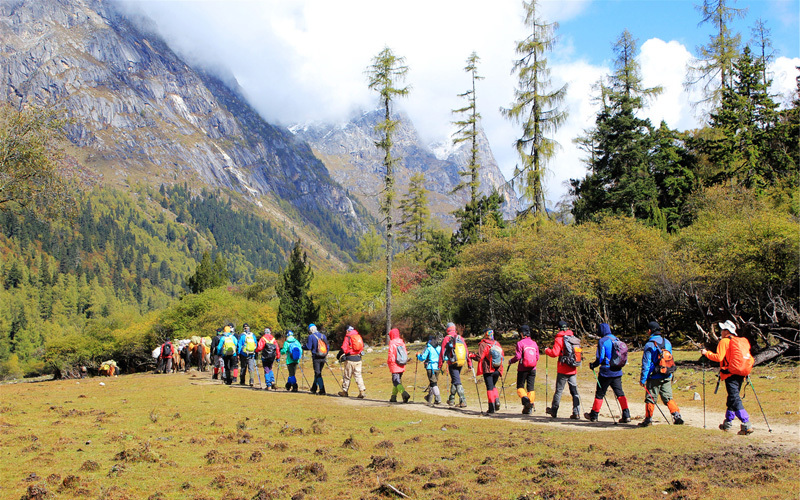 Nature, culture, adventure, or a mix of all the three - no matter what your passion is, you will be able to indulge in somewhere in Sichuan. 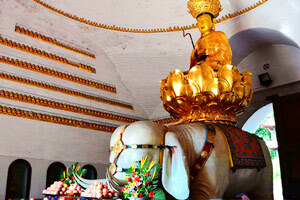 For more attractions info, please see all Attractions in Sichuan. 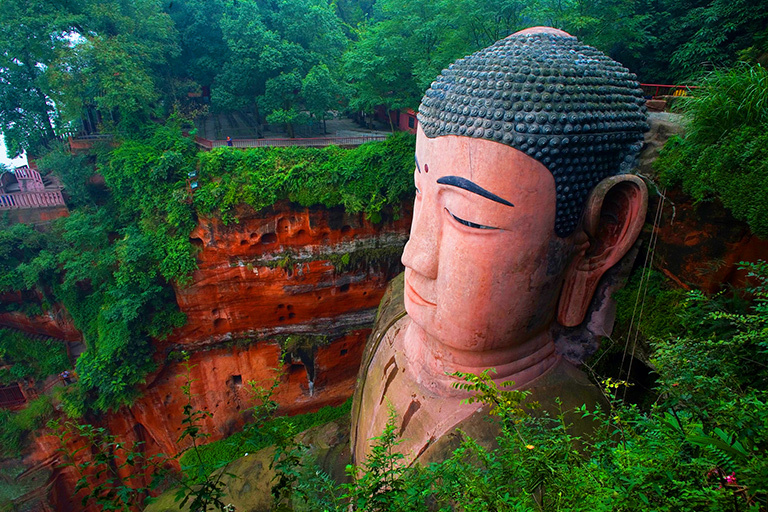 Leshan Giant Buddha is the largest stone Buddha in the world with 71m high rock Buddha carving from a cliff. 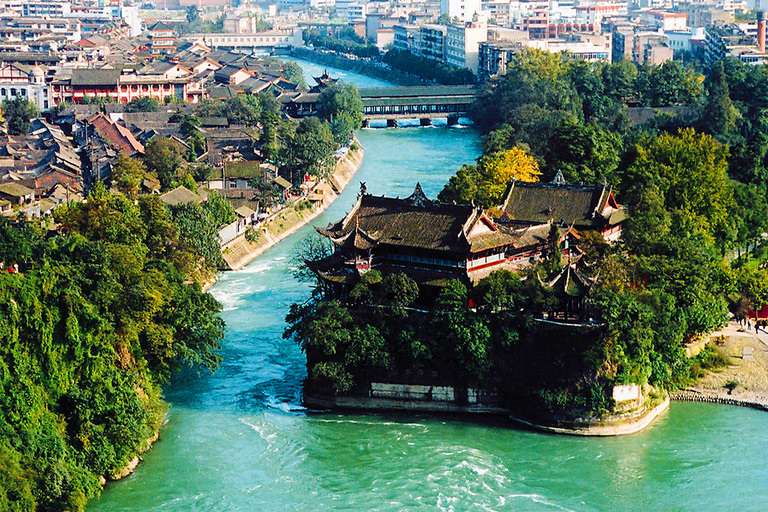 Sitting in the confluence of three main rivers of Sichuan, it’s the symbol of Leshan City. Jianmen Pass is called the No.1 Impregnable Pass in the world for its magnificence and danger, showing Shu Road Culture, Three Kingdom Culture, Warfare Culture. With the theory of the “unity of heaven and man”, Langzhong Ancient City is one of the "Four Ancient Cities in China" and enjoys multiple places of interests, like Zhang Fei Temple and so on. It is the oldest and largest bamboo forest in China which covers 120 square kilometers. It features the beauty of natural bamboo, limpid lake, winding path as well as numerous streams and waterfalls. Xiling Snow Mountain, is a great place both to get close to the purest natural beauty and to experience the excitement of skiing sports in this Ski Wonderland. Taoping Qiang Village is the best place to appreciate the authentic watchtowers, the undisturbed Qiang village, embroidery, music, dance, pure life and rich culture of Qiang people. Called Dege Yinjing Yuan in Chinese, it is a star attraction where you can have a sight of an ongoing printing process with a method of traditional woodblock printing. 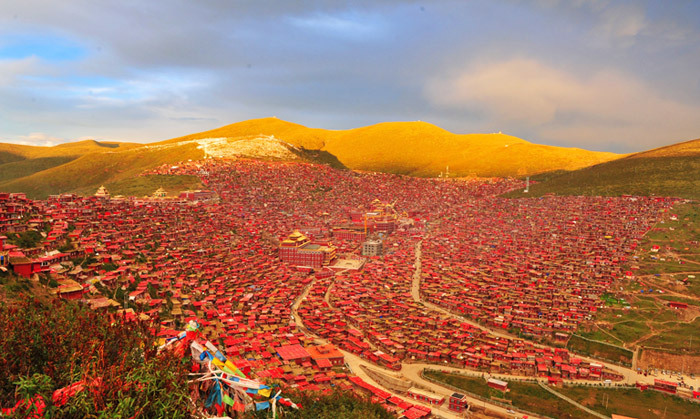 It is the largest Tibetan Buddhist institute in the world with more than 20 thousand monks and nuns and thousands of red wood houses built on the hill. You have already known Sichuan is a Land of Abundance, but, do you know how to explore to the fullest in each destination? We have seven different activities for different travelers. No matter what kind of travelers you are (panda fan, foodies, culture lovers, photographers, good hikers, students or children, Buddhists or Taoists), we’ve got a tour that’ll fit you just right. 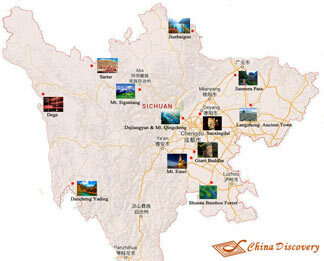 For more things to do info, please see all Activities in Sichuan. 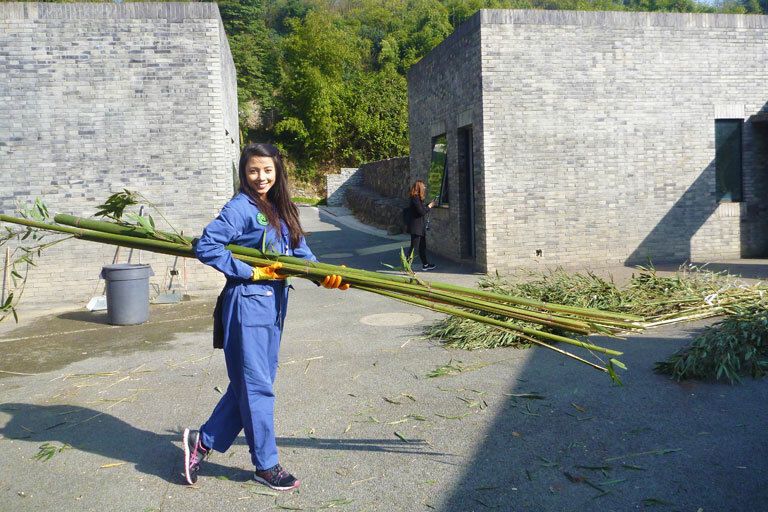 Several kinds of panda tours take you to visit Panda Bases in Chengdu, Dujiangyan, Bifengxia and Wolong to see the lovely pandas, feed them or even join volunteer program to take care of them. 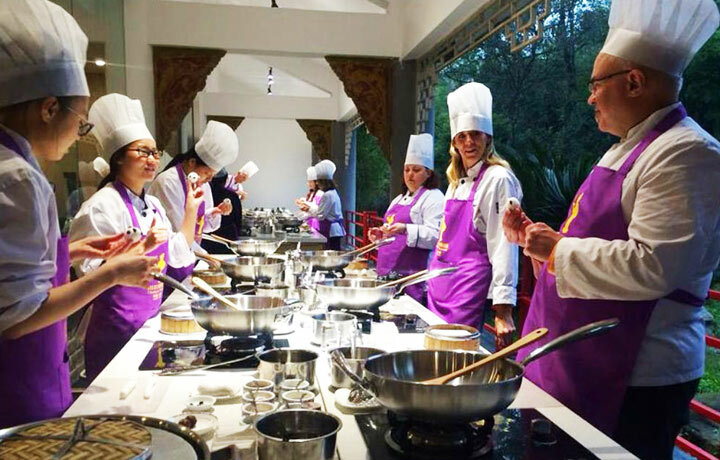 You will receive an insider’s view of Sichuan cuisine history and culture, explore different sites related to delicacy, do cooking class to get ultimate food experience and let all of your senses come alive. Sichuan has created unique culture with about 5,000 years' history from the ancient Sanxingdui Civilization, Jinsha Civilization to later Shu State as part of central government. 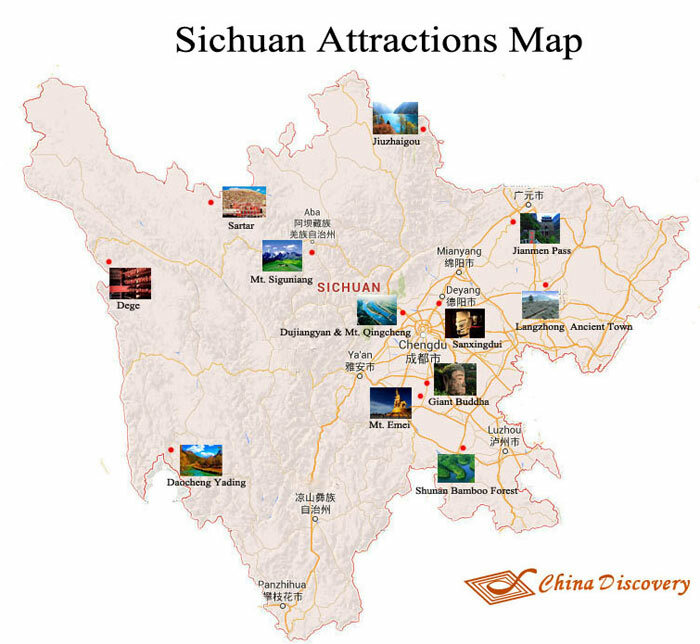 We are so proud of our homeland Sichuan having a lot of sites and destinations which are ideal for photography no matter you are interesting in the landscape, people, culture, customs or history. We have created some valuable hiking adventures quite different from those mediocre trails which put yourself into crowding of tourists, or some places where you can hardly find something to eat and stay. We have tours for Buddhists who yearns for a true pilgrimage journey to the holy Buddhist mountains and sacred temples, also trips for Taoist who seeks for harmony trip between human and nature. 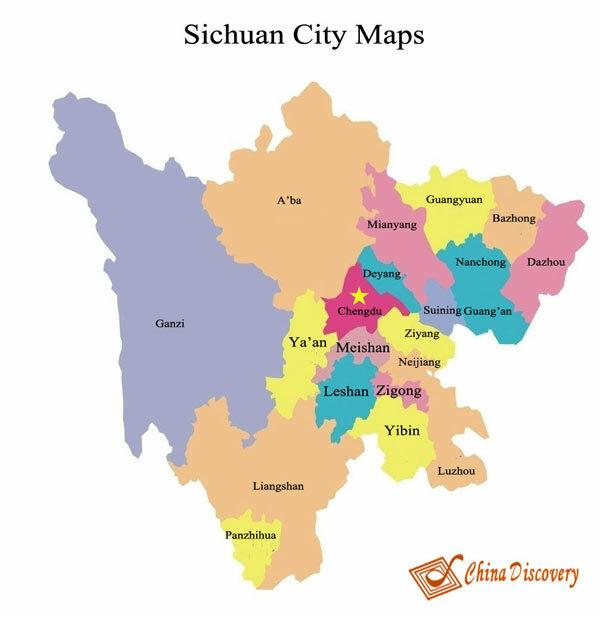 We have collected some useful Sichuan maps including Sichuan Province MapSichuan Tourist Maps and so on to help you have a better understanding about Sichuan and plan a Sichuan tour easily. For more maps, please check 2019 Overall and Detailed Sichuan Maps.